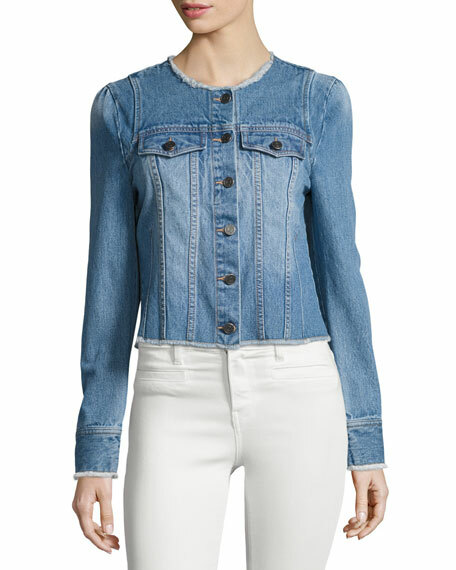 Joie "Cranham" jacket in vintage-style light indigo denim with frayed edges. Round, collarless neckline; button front. For in-store inquiries, use sku #2062930.